Anyone that is a national of the following countries are required to register with the Police in the UK. But the process is about to change under the Police Registration requirements. Nationals of Afghanistan, Algeria, Argentina, Armenia, Azerbaijan, Bahrain, Belarus, Bolivia, Brazil, China, Colombia, Cuba, Egypt, Georgia, Iran, Iraq, Israel, Jordan, Kazakhstan, Kuwait, Kyrgyzstan, Lebanon, Libya, Moldova, Morocco, North Korea, Oman, Palestine, Peru, Qatar, Russia, Saudi Arabia, Sudan, Syria, Tajikistan, Tunisia, Turkey, Turkmenistan, United Arab Emirates, Ukraine, Uzbekistan, Yemen are all required to register with the police if you are over the age of 16 and are intending to stay in the UK for six months or more. The changes relate to the way that you are informed of the requirement for you to register with the police. The result of the changes mean that the police registration condition will not be appearing on your biometric cards (Biometric Residence Permits, or BRP) any longer. 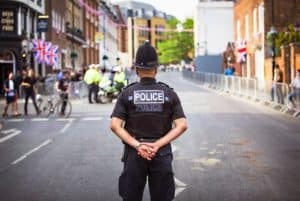 You will see if you are required to register with the police after making an application for entry clearance or applying for leave to remain in the UK. If you are required to conduct police registration, you will see the police registration condition on the 30 day entry clearance vignette issued to enable you to travel to the UK. Once you have arrived in the UK, you will need to show the 30 days vignette (that is stuck to your passport), along with your letter confirming that your application for leave was successful, to the police when registering. You will be required to register with the police within 7 days of arrival in the UK. 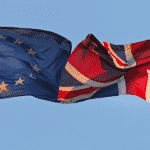 The process is different when applying for leave to remain in the UK when you are already in the UK. Your notification will be shown in your Home Office letter granting you further leave to remain if you are required to register with the police. You must show this letter when registering with the police. 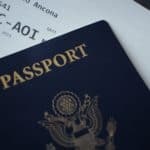 If, after you have arrived in the UK and you realise that your entry clearance (visa) vignette has been issued with an incorrect endorsement, you can request to have it amended by our team of lawyers and consultants. Start your Police Registration Now!